This may be the last blog before we set off, heading North. 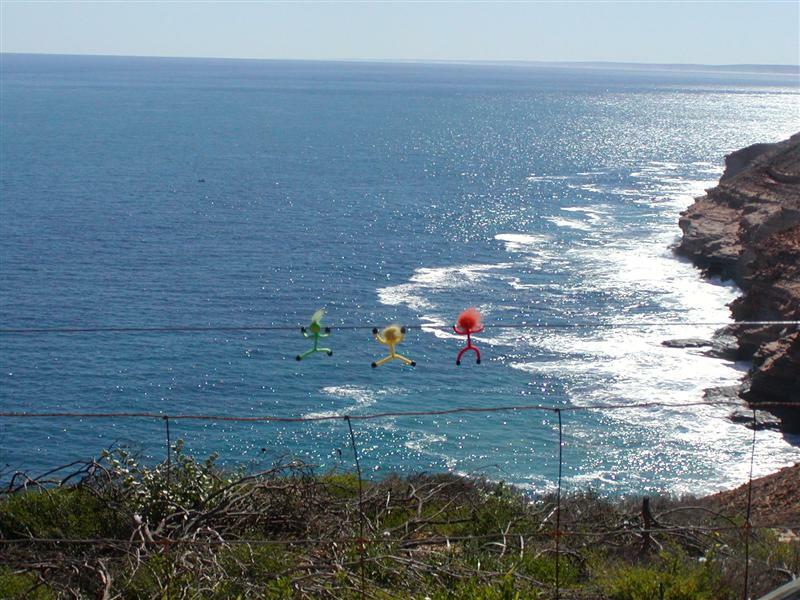 The MM are anxious to get going, although they will miss the spectacular views of the coast, south of Kalbarri. Trust them to get the best vantage position! We are going to Gasgoin Junction, then to Kennedy Ranges, Mt Augustus and beyond. Loads of kms to travel, but from what we hear from other travellers, it sounds as if it will be great when we get there. We will then head back to the coast, which will be long after the school holidays have finished. The weather has changed here, rained last night and today the wind is quite cool, but lovely when the sun is not behind a cloud. Speak to you all in a week or so, unless 3G enables us to keep in touch!